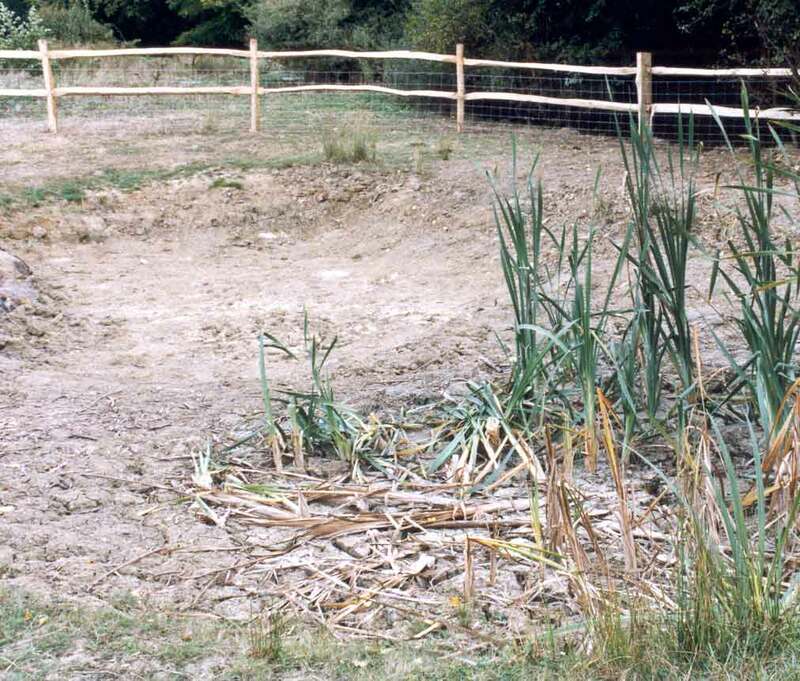 The pond that was established under the initial funding, had failed to establish any coherent aquatic environment due mainly to being unprotected against random dog or human intrusion. This constant intrusion had inhibited any fringe habitats developing leaving the area a muddy mess with only minor aquatic inhabitants. 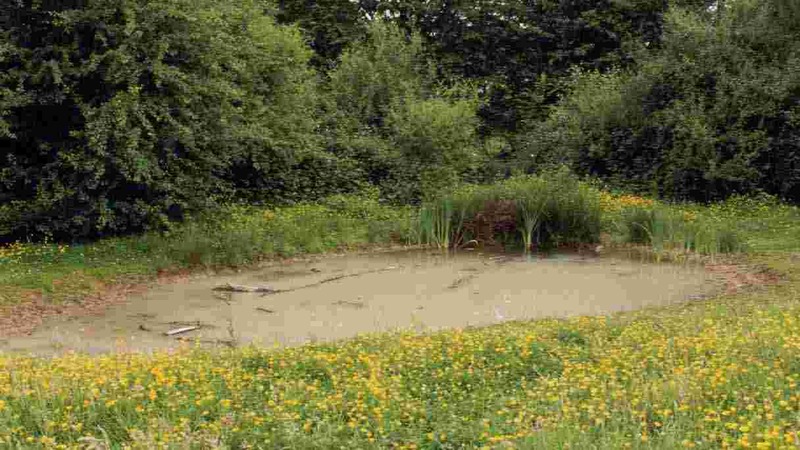 During 2003 a project was started to regenerate the pond. This project saught to establish a wildlife pond that would enhance the Green through the erection of fencing protection and some selective planting. The aim being to provide a safe environment that could be used by both the public and in an educational context. The pond is very much a seasonal feature that relies on rainfall and minor run off from the Green to sustain the water levels. Whilst the underlying clay base helps water retention, during the summer period evaporation does reduce the level. The final height of the water level will be determined by the layers of shale clay that run through the area. This fact was important in selecting an environment both within and surrounding the pond that is not water hungry. Due to financial constraints, the work has been programmed into two phases. Phase One concentrating on stabilising the environment to allow the aquatic life to stabilise. Phase Two will look to extend the enjoyment of the environment through the erection of a jetty and some simple seating. Over the the summer months of 2003 a lot of work was been carried out to achieve the project objectives. So far we have cleared the area of the scrub vegetation, dug out the silt to re-create a deep water section and erected a post and rail fence, complete with stock netting and an access gate, around the whole area. In order to raise the potential water level, it may be nessesary to line and puddle the sides of the pond with clay in the area where the shale clay lies. This is obviously a very messy option and we will wait to see what happens over a two year cycle before we act. We still intend to install some board edging to allow the banks to stabilise and perhaps create a pond-dipping platform and a small, simple plank seat but this will need to await furtherfunding. Our intention is to plant some suitable, native fringe and aquatic plants to encourage diversity. Obviously in the short term the pond will look "a muddy mess" but our aim is to create an environment that pond and Green users will enjoy.